Gah, yet another tree problem! This is on my peach tree, planted about 5 weeks ago. What could this be? I poked inside a little bit with a toothpick but didn't really "find" anything. The big one is on the trunk, the other on a small branch. Any help would be appreciated! 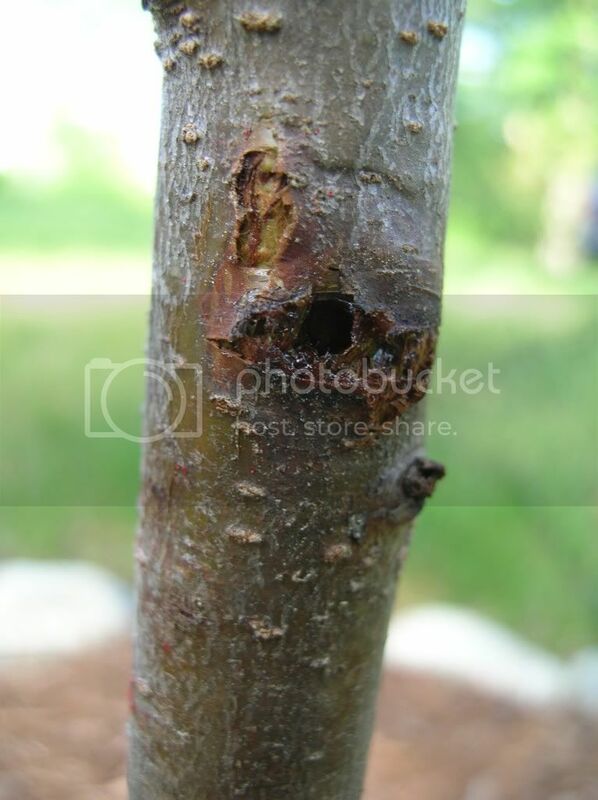 There are several 'borers ' that will drill into your tree and leave you with the hole that you have found. 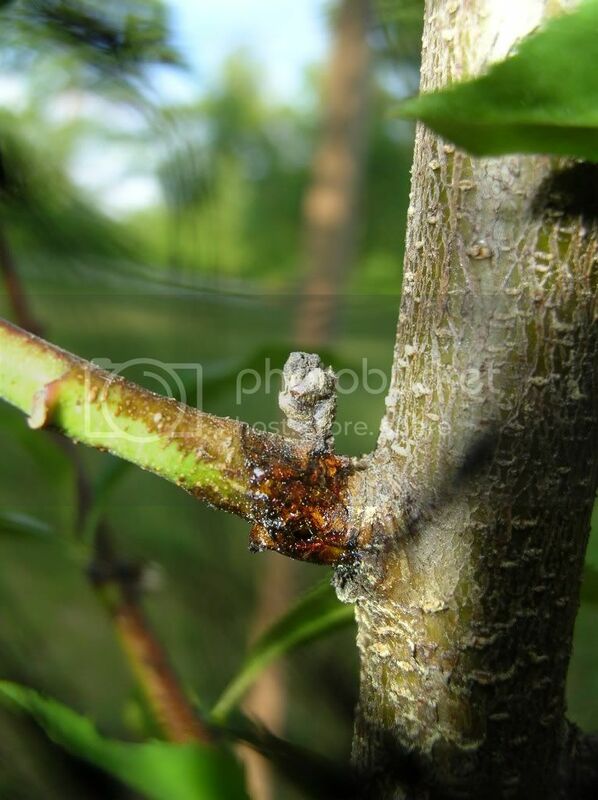 Over here in the UK the Leapord Moth is very good at useing our apple trees as a nursery for her grub. As a rule we never find it as a woodpecker has beaten us to it. ( Blasted bird makes more of a mess than the grub its after ). If the grub is still in there you can often kill it by running a piece of wire up the hole and listening for the satisfying squelch that tells you its fate. Often though, the first you notice is when the little devils already gone. Providing the damage is not too bad the tree can usually take it in its stride,unless it's in a smaller branch where it can cause weakness so the branch may break when it comes under load. 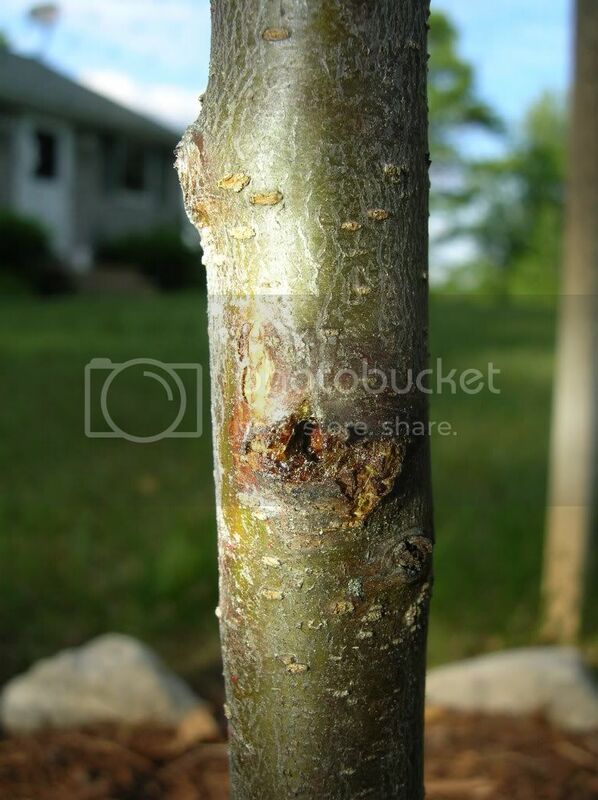 Peach Tree borer or something else?